Richmond is centrally located along the East Coast. With easy access to Washington D.C., the Atlantic Ocean and the Blue Ridge Mountains, this River City was ranked #3 Top Destination by Frommer’s for its rich history, colonial charm, outdoor adventure, trendy restaurants, upscale shopping, and world class museums. With the James River flowing through the heart of City, and the mild climate year round, Richmonders take full advantage of the area’s athletic events, public gardens and festivals. The area boasts a wide variety of arts, culture and entertainment as well. Among the numerous historical landmarks, you will find numerous theaters, the Richmond Ballet, the Virginia Museum of Fine Arts and the Richmond International Raceway to name a few. Richmond is for everyone. It’s family friendly, dog friendly and there is never a shortage of things to do. Whether you want to live downtown, Church Hill, Shockoe Bottom, Forest Hills, The Fan, or the Suburbs of the West End or Chesterfield County, each Richmond neighborhood is unique making it an attractively-sized and very livable city. Virginia Commonwealth University Health is the regions only Level 1 Trauma center. As part of the VCU’s School of Medicine, physicians provide quality patient care services, teach the next generation of physicians and conduct important research. Nationally known for cutting-edge medical advancements and diagnostic insights, VCU physicians aim to be the provider of choice for quality healthcare that is patient-centered, physician-driven, accessible, efficient and evidence-based to reflect the values of an outstanding integrated academic practice. US News and World Report ranked VCU the No. 1 hospital in Virginia and the Richmond Metropolitan area. Our Nephrology, Pulmonology, Orthopaedics and Urology programs ranked among the top 50 in the country. VCU was also ranked “high performing” in Oncology, Cardiology, Diabetes, Gastroenterology, Geriatrics, Gynecology, Neurosurgery, Rehabilitation and Otolaryngology. 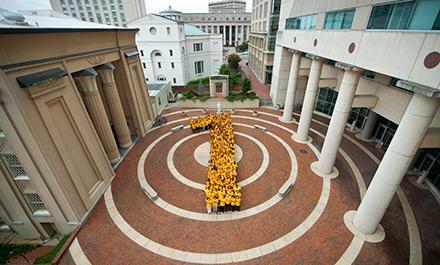 With more than 600 physicians in 200 specialties, VCU has the areas only NCI-designated Cancer Center - Massey Cancer Center, and a full-service children’s hospital – Children’s Hospital of Richmond.